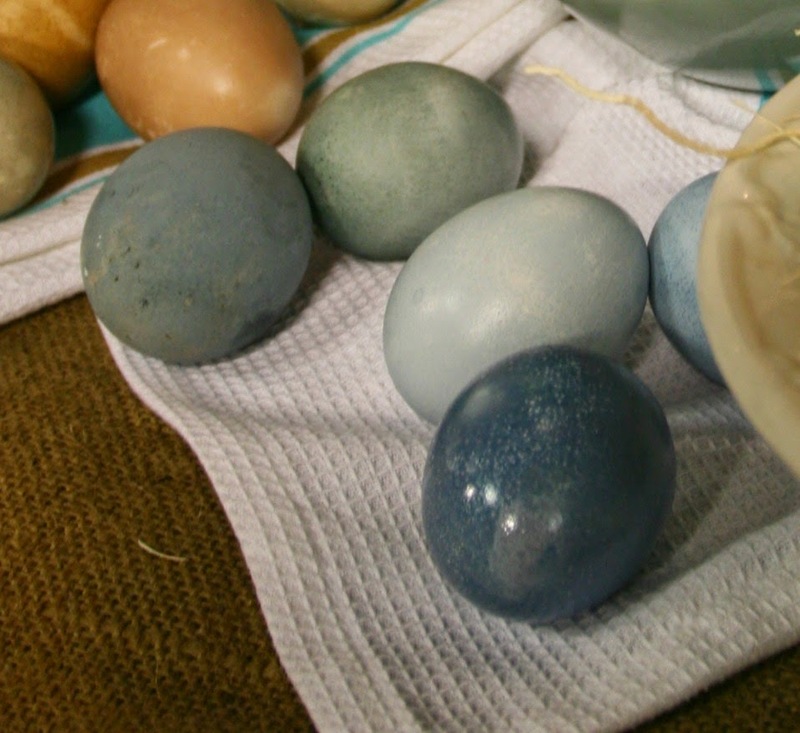 Adventures of a BusyBee: Natural Dyes for Easter Eggs: Everything you ever wanted to know! 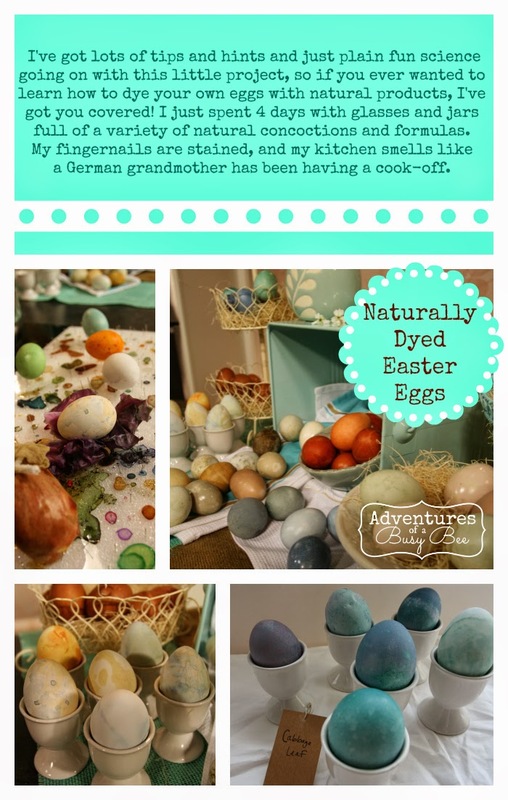 Natural Dyes for Easter Eggs: Everything you ever wanted to know! Settle in for a moment, my friends. This is one of those posts that will take a little while to browse through! 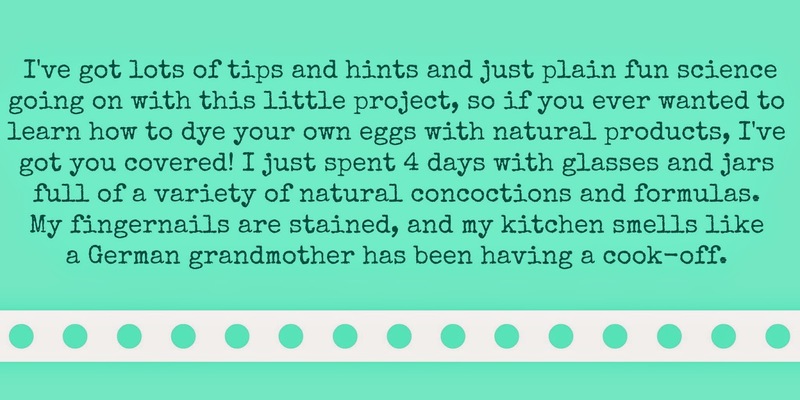 .......But I guarantee by the end of it, you'll have learned what you need to know to tackle using Natural Dyes for your Easter Eggs this year! So let's start with an easy little science lesson which will form the basis for the dye mixes that you create when you decide to try this technique for yourself. Don't get scared, it's not tough chemistry science, I promise. For me, it's all about fun experimentation in the course of Natural Egg Dyeing, and I'm excited to share that with you! Every liquid has a PH level that falls somewhere between 1 (Battery acid) and 14 (Lye). Near those levels is Lemon Juice at 2 and Ammonia at 13. For our purposes in Natural Egg Dyeing, you're going to want to know that Vinegar is Acidic, and rests at a 3, and Baking Soda is Alkaline and lands at an 8, which is just above neutral at 7. Guess what vegetable is a Neutral, meaning that it's PH is exactly in the middle, neither acidic nor alkaline? Red/Purple Cabbage! Isn't that crazy? With all that color and stinkiness, I really don't understand how it's a "neutral" anything! But alas, it is! Now why is that important to know? 2) If you're like me, you are longing for Aqua/Turquoise/Teal colored eggs, along with some pretty blues and purples....and red cabbage is the way to get them! Before we go any further, I want you to consider your water source. Our tap water is very hard, and heavily alkaline. (Yuck. Which is why I only drink filtered water from my fridge). Rather than trying to deal with a non-neutral water source in my experimenting, I used only Purified Water in gallon jugs from the grocery store. It's up to you whether you want to take that step or not, but be aware that most tap water is going to be either alkaline or acidic, and that will affect your results somewhat. Additionally, don't use an aluminum pot to do these experiments. It WILL have an effect on your colors. Now, let's get to that Test of the Red/Purple Cabbage. Pour about 1/2 to 3/4 cup of the base cabbage liquid into 3 different clear cups or jars. 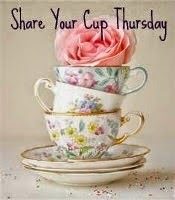 Add 1-2 tsp of Baking Soda to one cup, and the same amount of Vinegar to the other cup, and leave the last cup as is. Stir the two with additives, and watch what happens to the color. The egg colors that you get from each dye liquid will be different from one another. Now, when you consider that all of the Egg Dyeing kits you by at the store (Paas, namely) tell you to add Vinegar to them, you'll understand why I suggest this test at the beginning of your "Natural Egg Dyeing" adventures! Those commercially made colors are already formulated to react the way the manufacturer wants them to when you add the vinegar. Mother Nature is not quite so predictable! Not every vegetable or fruit liquid is going to give you a pretty color when you add Vinegar to it along with the eggs, so don't do it just as a knee-jerk reaction to dyeing your eggs. (By the way, I'll be listing the results you can expect for specific combinations in the last set of instructions). Yes, Vinegar DOES help to set the color in general, but it's NOT necessary, and Baking Soda can help with that as well. **Here's a word of warning....Vinegar has Acetic Acid in it. I use it to kill weeds in my garden because that acid breaks down and destroys the cell walls. It's a great non-toxic weed killer because of that! In small quantities, it's is harmless. But, in large quantities, and in a soaking condition, it can break down the egg shell and cause it to collapse. I only had this happen with a couple of my eggs, but it can happen, so be aware of that. First, lets explore how to hard-cook your eggs beforehand. You can do them the traditional way in water, with your choice of method. Some people like to boil the heck out of them, some people like to bring them to a boil and then take them off the heat, some people like to simmer them. Do what works for you. Do you want to know what I do? I bake them in the oven! That's right. It works GREAT! I put them in a muffin tin in a preheated 325° oven, set the timer for 23 minutes, and let them go. For that length of time in my oven, they turn out perfect. UPDATE: I now own an Electric Pressure Cook (aka: Instant Pot), and that is the ONLY way I do Hard cooked eggs now! ** I found that hot/warm eggs took the color better when doing the Cool-Dip method, which is what you are doing when you add pre-cooked eggs to a colorant. They seemed to absorb the color better than eggs that had previously been cooled down. When you are Boiling from Raw in the colorant, you'll do the same process as you do when you hard-cook them in water. However, you'll need to decide if you are going to Pre-Cook your colorant before you add the eggs or not. If desired, you can cut or tear your vegetable or fruit into smaller pieces before you add it to the boiling liquid. It's not necessary, however. (If you are planning to cook your cabbage later, you may want it sliced or chopped beforehand). Once the mixture had boiled for 30 minutes, I turned the heat to low for an hour, and then I let it steep for another 3 hours. This made a really beautiful deep dark color with the 2 colors of onion skins, as well as the cabbage. With those three base colors, I was able to experiment with mixing and matching with my other vegetables, fruits and teas to get a wide variety of color shading for my finished eggs. You will want to strain your mixture afterwards unless you WANT the texture to affect your final product. That is totally up to you and the look you want to create! For larger item straining, a regular colander will do, but you will need a coffee filter or cheesecloth to strain out fine residue, like spices. For Onion Skins, you only need the papery outside skins, not any of the actual onion like with the cabbage. You don't even need to buy onions for this....you can just get the droppings from the grocery store. They throw them away anyway, so just ask if it's okay if you take a bag of them. If you are using spices, you will have to experiment with the amounts. I didn't delve into the spices because I wanted to focus on the vegetables and teas, and there are a lot of spices contained within the teas anyway. Keep in mind that Turmeric works really well for yellow and orange tones, but it is HIGHLY staining. I would not really recommend using it with little kids, unless you are very careful in your preparations and execution. In general with the spices, plan on 3/4 cup boiling water, and 3-4 TBL of your desired spice. You don't need to boil it ahead of time like you do with the whole foods, but if you'd like, you can boil your eggs in it to hard cook them as described above. So here's the process for Hot-Dipping: Have a cup, or even a whole pan of boiling water at the ready. Place your wrapped egg in the cup and pour boiling water over it, OR place the wrapped eggs right into the pan of just boiled water. (turn off your heat). Let them sit for the desired amount of time. I found even 10 minutes made a nice pattern and color, but I loved the ones that sat for an hour or so. Note that you can do this process when you are hard-cooking the eggs as well if you want. In many cultures, that is how they do their eggs for Easter! I liked the idea of letting it sit in the wrap for longer however, which is why I did it afterwards. So now you've learned about the beginning and middle parts of dying your eggs. What's left? Some formulas and things you need to know to create your colors. Here are my TEN BEST TIPS! ~ First: Time left in the colorant, and the amount of liquid used to create it, will affect your final color. Remember to keep your dye colorant and soaking eggs in your fridge! Eggs should not be out more than 2 hours at room temperature! ~ Second: As I've already noted: Vinegar and Baking soda will also have an affect on your color. Experiment in small cups so you can try out the variations. One thing to keep in mind: Green does not play well with Vinegar. It will turn Olive or drab. Use Baking soda instead. Are you wanting Green Eggs? Good luck getting them with any vegetable, including Spinach! You won't get the green you're after....Trust me, I tried! I ended up using 2 things: 1) Liquid Chlorophyll (a life saver...you can find it at any Health Food Store or on amazon); and 2) The green from the "Natural Earth Paint" kit that I featured and that I'm giving away. ~ Third: Fruit Juices should be used straight, do not add any water...boil them if you'd like. Some fruits don't work well when you add water at all, and it's best to just crush them and roll the eggs in them. (Raspberries and Pomegranate arils, particularly, "bleed out" their color and you'll just get a beige color result). You will find that most juices and fruits (including Blueberry), give you more of a grey color than a pink or red or purple...this is where you can combine them with your Red Cabbage base to amp up the color. ~ Fourth: Speaking of pink...it's HARD to get! My best result came from Beets, but it's not a bright pink like you might want...it's more of a blush tone. I didn't boil the beet I used. I just used one small one and steeped it with boiling water. I think boiling down several chopped beets in the same process I used for the red cabbage will give a greater color. (I plan to try that in the coming week, and I'll update if I get a truer pink result). Eggs dyed with Chlorophyll and Beets; Clover placed on the green egg and one Beet egg is oiled. I drink a lot of Herbal Tea, so I had about 20 varieties in my pantry to play around with. (I'm totally not kidding...I drink it hot and cold!) The lighter colored peach and lemon varieties that I originally used did hardly anything. Some of the red berry ones worked better than others. I used bags as well as loose tea. Adding Vinegar and or Baking Soda to any of them made a difference as well. This is where experimentation comes in! Play around and have fun! The Chai Tea gave me the prettiest tan colored eggs. I loved them. Steeped Blueberry Tea, with Baking Soda added, gave a very pretty blue color, BUT it had to soak for a long time...like 36 hours! The front 3 eggs, including the one that has been glossed with oil, came from blueberry TEA, not plain blueberries. The one at the back that's rather grey-greenish, came from boiling actual blueberries and adding vinegar. So save the real fruit, and get the tea! (and then make flavored water from the rest of the box...it's my favorite "cold tea" flavor). The very front egg at the back that's a darker slate blue came from the "Passion" Tazo tea with Baking Soda added (also in the tea eggs pic above). ~ Fifth: Finish up your lovely eggs by placing them on a Dipping Tray! I made mine with a large piece of Styrofoam that I covered with pins. I left the plastic on it to keep the dyes from eating through the foam so I can use it for a couple of years. I put the pins close enough together to allow them to stand on end and let the drips flow downward instead of pooling at the point where the egg sits on another surface. You'll find with many of the natural dyes that they are easily scratched off the surface of the egg. Putting them wet into an egg crate is going to make a mess of many of your masterpieces! Don't put them in a crate until they are fully dried. At the front of the tray, you can see an onion skin wrapped egg that has been covered with piece of nylon and twisted closed with a piece of pipe cleaner. This is my preferred way to do the onion skins. Behind it is a cabbage leaf wrapped egg that has just been unwrapped. As I mentioned, these "Tie-Dyed eggs" are my favorite technique. By the way, the 3 bright colored eggs at the backside are made with the Natural Earth Kit that I have featured. The pale uneven egg in the middle came from being boiled with cabbage leaves. It was in the water for about 20 minutes before I took it out. Like I mentioned before, I think cold-dipping in Red Cabbage is the best way to go. ~ Seventh: Use stickers on your eggs! Don't go too crazy though as simple shapes with easy to seal down edges work the best. Narrow ones won't show up much, so look for thicker designs if possible. Also, I used bright colored ones so they showed up in my pre-pics, but guess what happened? Some of the colorants, though not all, made the colors bleed so then I had another type of tie-dyed eggs that I wasn't planning on! Keep that in mind, and just use the white office stickers if you just want a muted look. You can pre-dip for a lighter color, add stickers after they dry, and then dip again for a two-tone look. ~Eighth: Add leaves for a natural look. I didn't get a lot done this way. I'm planning to do more and I'll post when I finish them, but I did get a few. I found that fake leaves did not work at all. The shamrock leaves, which are very thin and flat, adhered and work best of all the ones I tried. Bulky ones don't work. Secure them to the egg with the nylon technique. If you want to have leaves on permanently, you'll need to secure them with glue or egg whites. Ninth: Oil up your eggs if you want a glossier or shinier finish. Some of the colors, I think it was those with Baking Soda added, took on an almost glimmery/shimmery finish with the oil. It changes the look dramatically on some of the colors, though not all. Also, the oil will help keep the color from scratching off the surface. 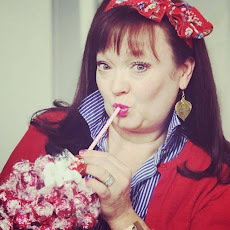 ~Tenth: If you want to keep them for decorations and not for eating, you'll want to blow them out! Do that AFTER you dye them, and not before as your egg will hold up best in the dye process that way. I use a little balloon blowing up tool to shoot the egg out of the shell. There are lots of tips online if you want to do that! OR, use Faux eggs like I did for some of my finished eggs! I found them at Walmart for just $2.00 a dozen...score! I really hope you've enjoyed this very lengthy tutorial on Natural Egg Dyeing! Please comment if you have any questions, or if you want to share your results from your own experimentations! can't wait to try the natural way. need red eggs to put in my easter braid bread and love teal, and just experimenting with everything I make in the kitchen. I wd be so excited to win the natural color dye kit to get the greens and colors difficult to get fram natural products. Thanks Tish! Make sure you enter on the rafflecopter! I've never seen so many gorgeous eggs in one place at the same time Emily! Love the pretty variety. Yeah, I was surprised that red cabbage gives you a pretty blue egg. Still haven't had a chance to watch it on line, but will do before Easter. Thanks for sharing all of this fun info with SYC. Pinning. Thanks Jann! I'm doing some more Blue Cabbage ones for Easter Dinner...with my fake eggs this time. Excited to see how they turn out that way. Keeping my fingers crossed that they are just as gorgeous.